The winners of the 1995 Eurovision Song Contest, Norwegian neo-classical duo Secret Garden formed in 1994 around Irish violinist Fionnuala Sherry and Norwegian pianist Rolf Løvland, the co-writer of Norway's 1985 Eurovision victor 'La Det Swingge'. Secret Garden's own Eurovision victory was notable as the first (and, so far, only) time a predominantly instrumental song has won the competition -- the contributions of guest vocalist Gunnhild Tvinnereim were clearly written to ensure the piece met with Eurovision's rules. 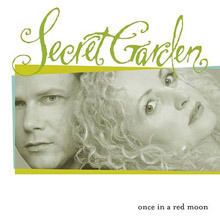 Songs from a Secret Garden, the duo's debut album, was released later in 1995 and became a major hit around the world, as well as supplying Barbra Streisand with the hit 'I've Dreamed of You', adapted from Secret Garden's 'Heartstrings'. Secret Garden also originated Josh Groban's 'You Raise Me Up'. 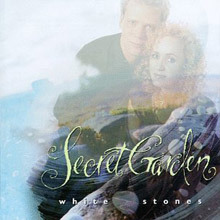 Subsequent Secret Garden albums include White Stones (1997), Fairytales(1998), Dawn of a New Century (1999), Dreamcatcher (2001), Once in a Red Moon (2002), and Earthsongs (2005). A best-of, also titled Dreamcatcher, appeared in 2004. 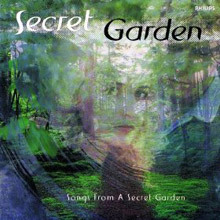 Secret Garden is Norwegian composer Rolf Loveland (piano, keyboards) and Irish violinist Fionnula Sherry. The album, however, offers much more than this duo; it is awash in orchestral strings (real ones), a choir (real one), and as many percussionists, harps, fiddles, keyboards, and whistles as are needed. Songs from a Secret Garden, a chart-topper in Europe, is unabashedly romantic, absolutely gorgeous. "Sigma," featuring boy soprano Rhonan Sugrue and the Irish National Choir, is very pensive, like dried flowers left, an expected return disappointed. The lyrics begin, "I search for the sign that will set my soul free." Although Celtic music fans will find many moments of bittersweet nostalgia between the violin, pipes, and pennywhistles, the album's closest musical relation might just be the intimate works of Maurice Ravel, particularly his "Pavanne for a Dead Princess." Romantic themes of true depth, played full out. Secret Garden is not afraid of tenderness nor beauty. On their second album, duo Secret Garden play with the conventions of Celtic and neo-classical music, weaving in unexpected elements like Spanish guitars and Eastern European folk melodies as their muse dictates. Norwegian pianist Rolf Lovland composes striking instrumentals for which Fionnuala Sherry's violin supplies the lead voice. Just about every song here features a lavish orchestral arrangement, but it's Sherry's violin that speaks loudest and touches the heart most tenderly. Her fluid, emotive technique shines on tracks like "Appassionata," and is made all the more admirable knowing that she was recovering from serious injuries and in great physical pain during the recording sessions. The overall mood is weighty, heart-centered, providing a supportive background for personal reflection. The beautiful melancholia lifts a bit in tracks like the polyrhythmic intoxication of "Windancer" and "Escape," which evokes Gypsy caravans and circus performers run amok. After their success in the 1995 Eurovision Song Contest Secret Garden have become one of the few artists to carve out an enduring album selling career. Their stirring and beautiful New Age music has become successful all around the world. Nocturne/ Dreamcatcher features 19 of the best songs from their first three albums: Songs From A Secret Garden, White Stones and Dawn Of A New Century and has sold over 3 million copies. Many of their Celtic flavoured tracks such as ‘Celebration’, ‘Lore Of The Loom’ and ‘The Rap’ are included along with the Eurovision winning ‘Nocturne’ and the sublime and gentle ‘Prayer’. This ‘best of’ is a great introduction to Secret Garden and demonstrates neo classical music at its most endearing. 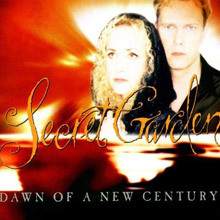 Released for the new millennium in 1999, Dawn Of A New Century sees Secret Garden in optimistic and reflective mood on this fine concept album. Opening with the languid ‘Moongate’ and finishing with the poetic title track, these New Age music explorers provide relaxing and romantic melodies throughout the album. Certainly one of the band’s best-received works, Dawn Of A New Century is an engaging set. 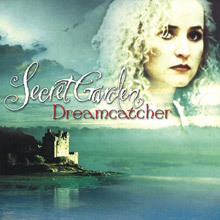 The global phenomenon of Secret Garden has been so far reaching that it's hard to believe the duo of Norwegian keyboardist/composer Rolf Lovland and Irish violinist Fionnuala Sherry have only recorded three previous studio albums in addition to their 2001 compilation, Dreamcatcher. Once in a Red Moon continues Secret Garden's tradition of organic storytelling melodies and straight-from-the-heart performances with a wink back to the innocence and raw simplicity of their debut. Lovland and Sherry felt that their second and third recordings, White Stones (1997) and Dawn of a New Century (1999), were conceived as larger-scale projects which would help build the scope of their live performance presentation. This time, they wanted to let the natural performance of the piano and violin be the leading force; to this end, they built their productions based on the first, original sensitive and raw takes in the demo phase. There are also some unique new elements: guest appearances by the Irish National Symphony Orchestra and RTE Concert Orchestra players performing live in the studio fronted by Sherry (five of which were scored and conducted by Steven Mercurio, musical director for Andrea Bocelli); guest vocalist Karen Matheson of Scotland (on the ethereal universal love message "The Gates of Dawn" and the dreamlike, atmospheric "Greenwaves," with lyrics by Ann Hampton Calloway, who wrote the words for the Barbra Streisand song based on another Secret Garden track); Swedish harpist Asa Jinder, who worked on Secret Garden's debut and helps define the Nordic/Celtic mix of the duo's music; and world-renowned cellist Julian Lloyd Webber, duetting with Sherry's violin on the sweetly melancholy "Duo." Once in a Red Moon also features a once-in-a-lifetime musical experiment. Via their website, the duo asked people to participate in the new album by sending them "the global C," recorded on a piano. They received piano chords from all over the world, creating a global energy of sound for the final chord of the emotional closing track, "Elegie." Released in 2005, Earthsongs was a slight departure from the more neo classical style of the Irish violinist Fionnuala Sherry and Norwegian Keyboardist Rolf Lovland, to a more easy listening approach. Pop classical tenor Russell Watson sang on the lilting ballad ‘Always There’ and also included are a couple of stirring jigs in ‘Reel’ and ‘Daughters Of Erin’. However ‘Somewhere When It Rains’ and ‘Grace’ see the band on more familiar territory. 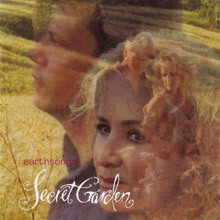 Earthsongs benefits from its ambition and as ever shows Secret Garden at their soothing best. Neues Eminem-Album “Revival” erscheint am 15. Dezember!